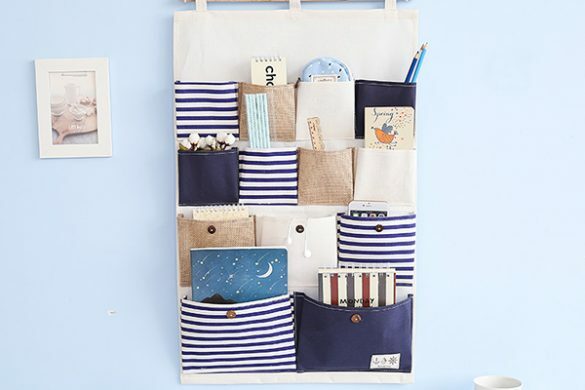 February is basically over which means it’s time to store away all your winter decor and whip out some fresh flowers, trendy vases and planters! Plants and flowers are the ultimate Spring accessory. So naturally, fun, new vases and planters are the next staple Spring home decor piece you need to stock up on. Adding unique vases and planters to your home will automatically make your space light, bright and ready for the season. Scroll down to see how you can bring Spring into your home with these 9 trendy vases and planters! Cute plants and flowers deserve equally cute vases and planters. Adults and Unicorns totally go hand in hand, just saying. Give your plant babies a magical home and add some extra color in your life with Elodi! Our Elodie Planter brings a smile to everyone’s face and is a good size for small to medium household plants. 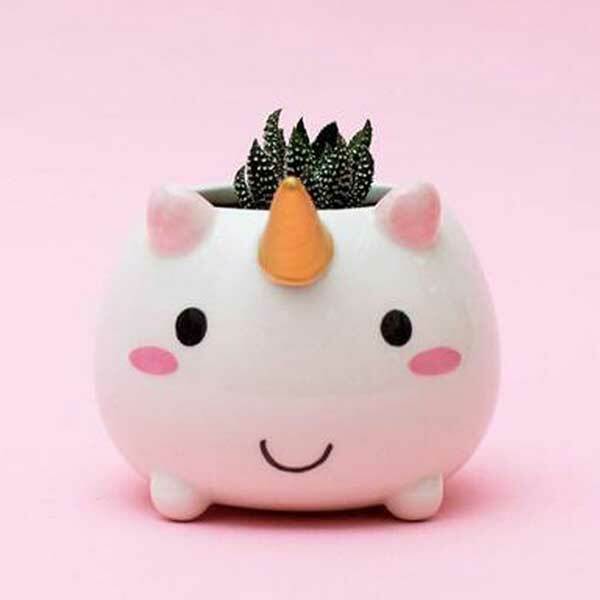 Enjoy all the plant-iful goodness of container gardening and magic all at once. 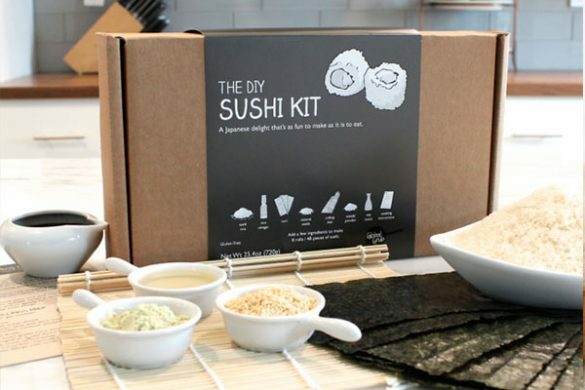 Where is Totoro going with that sack of acorns? 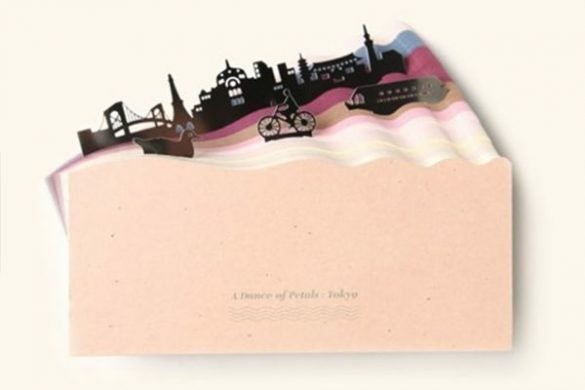 Home to your fairy garden! 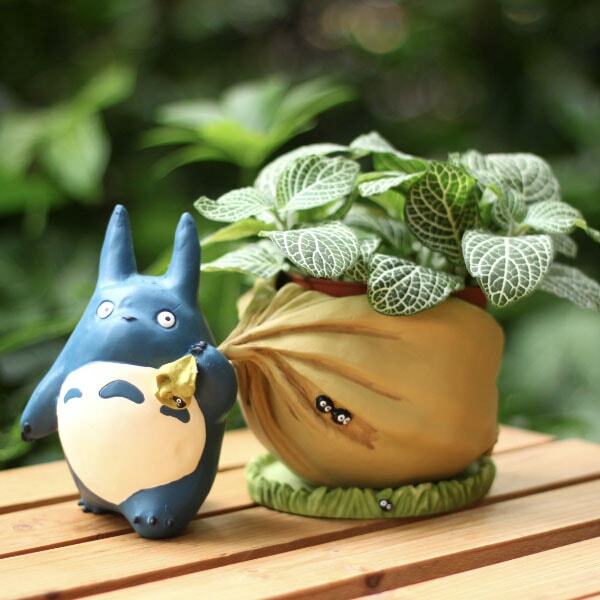 Totoro is regarded as the keeper of the forest so you can trust him with your precious flowers and plants. This cute Totoro planter comes apart so you can easily water and tend to mini plants and succulents. 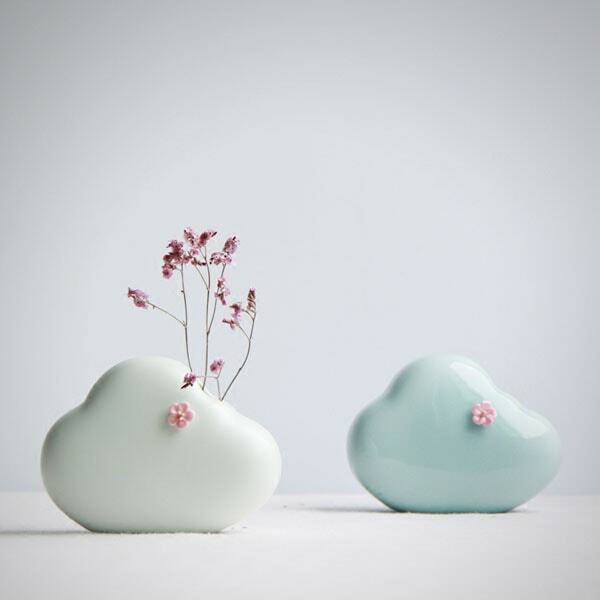 This dreamy Cloud Blossom Vase comes dressed up with a cherry blossom corsage. It’s a sweet home for single blooming roses, lavender stocks or orchids. This planter is perfectly sweet and the essence of Spring. You can never have enough vases and planters – that’s a fact. And these Textured Glass Vases are the perfect vases to compliment fresh bouquets, that’s another fact. 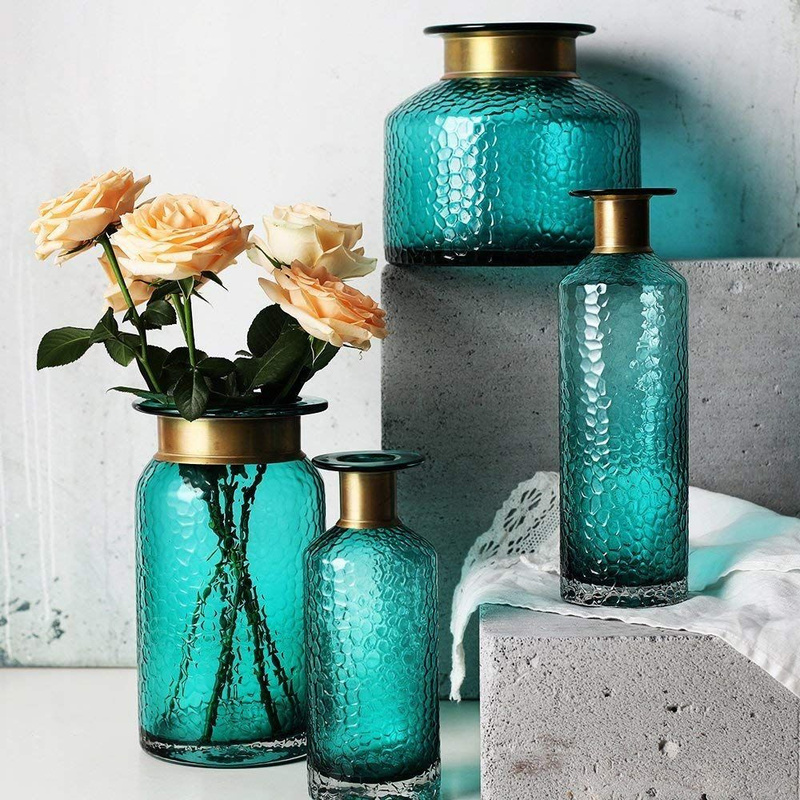 Decorated with a distinctive alligator skin pattern, aqua green tone and gold banded necks, these vases are eye-catching and mesmerizing. Fill them with single stems, bunches of blooms or fill them with decorative rocks. Classic and timeless, ceramic vases and planters give your home a vintage feel and instant charm. Our colorful succulent planters brings life and color to any environment. Fill these bright, tiny pot with your favorite succulents and brace yourself for a ton of compliments. 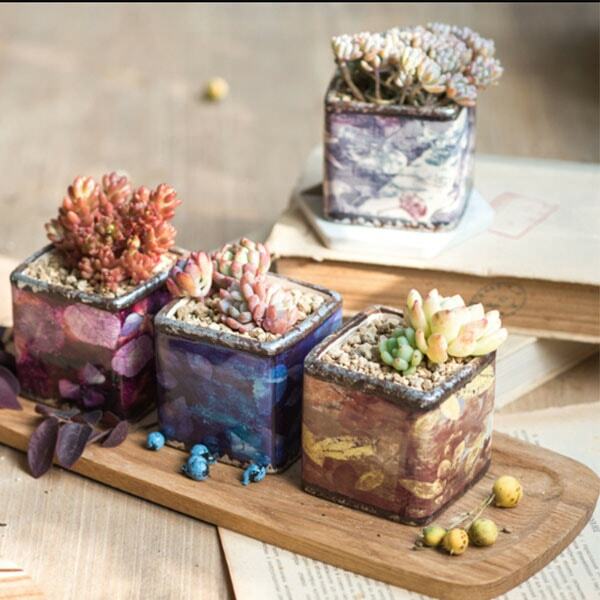 Collect all three styles of our colorful cube succulent pots and create the vivid succulent garden you’ve always dreamed of! 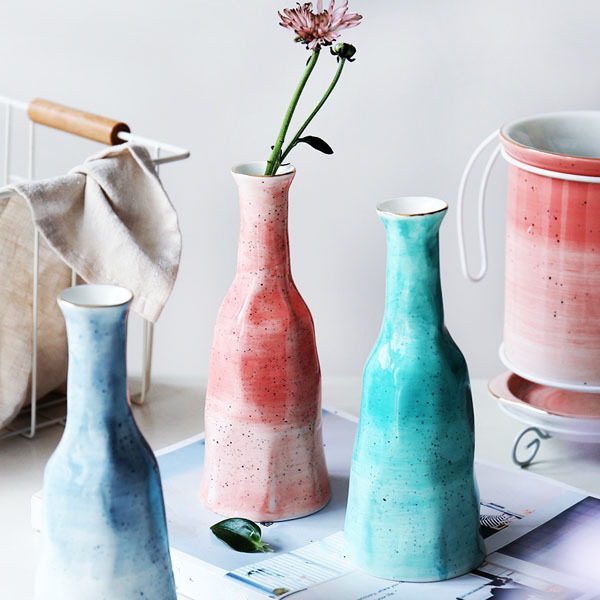 The subtle color change of this handmade bottle vase makes a big and positive impact to your home decor. Showcasing a gold trim and a speckled glossy finish, these elegant handcrafted bottle vases are the essence of chic. 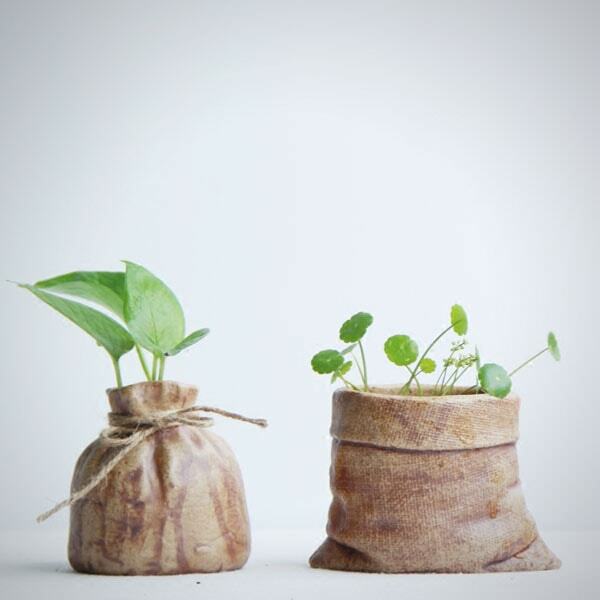 Bring the look of an outdoor burlap sack planter indoors with these stylish mini ceramic planters. These planters bring an earthy, rustic look that works in any season. Fill them with new flowers and sprouts during Spring and Summer, and sturdy succulents during Fall and Winter. 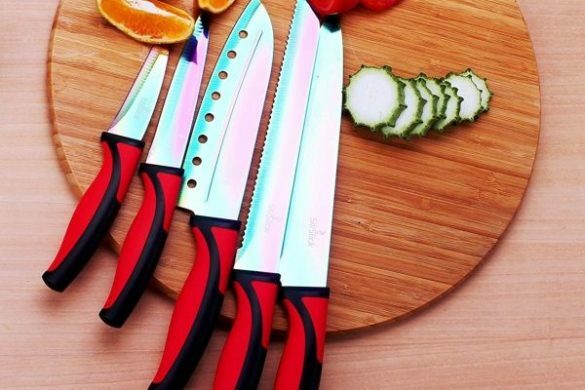 Want to make your home feel like Spring but also want to standout from the crowd? Check out some of these unique vases and planters. 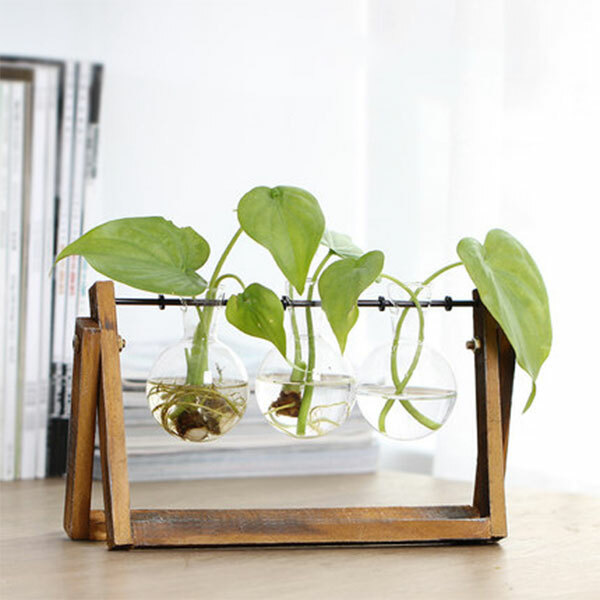 These hydroponic vases get a green thumbs up! 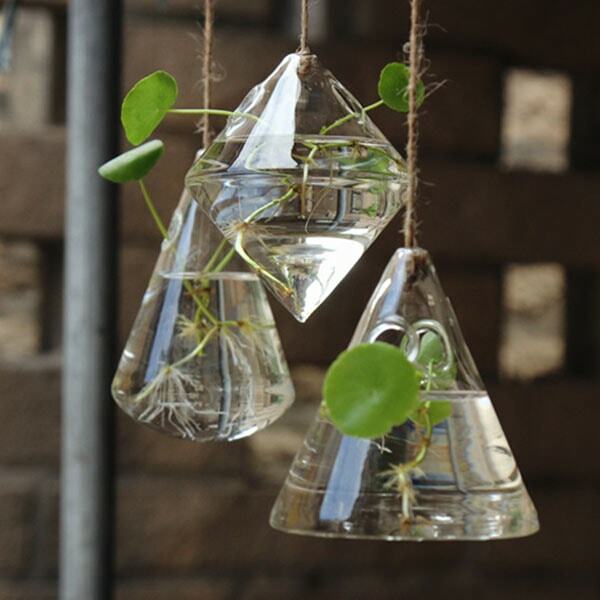 Fill these hanging glass vases with fresh blossoms and leafy ferns. The darkened wood stand and iron rod give them a factory-chic vibe that complements any space. This trio of geometric hanging vases brings a cool, eclectic look to any space. Since they’re created from the same glass used for beakers and laboratory bottles, these vases are durable and stylish. Have you ever seen such cheerful planters? We didn’t think so! 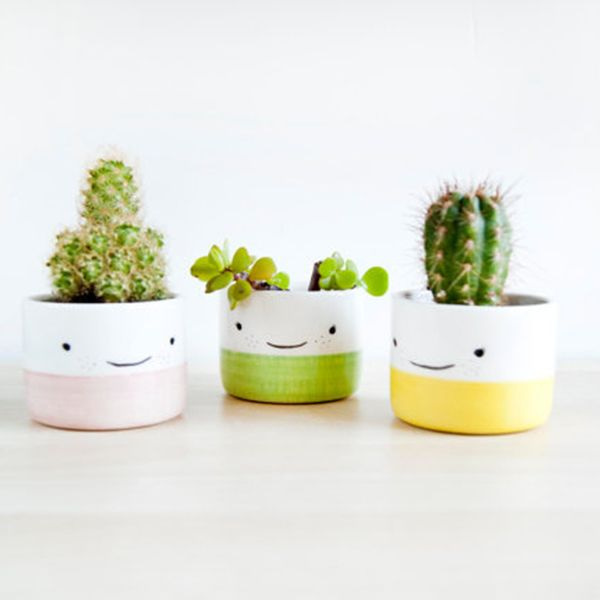 Add a much needed douse of color and charm to your home with these whimsical Smiling Faces Mini Pots. 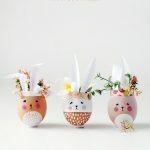 While they are on the smaller size, these adorable pots will make a big difference on your mood every time you see them! How does your garden grow? 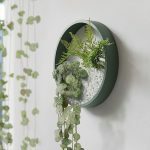 These round wall planters come in an array of colors and sizes to create an eye-catching vertical garden. Click here to see the 4 reasons why you need this wall planter. Want to check out some more trendy vases and planters? Shop our Planters & Vases Collection! 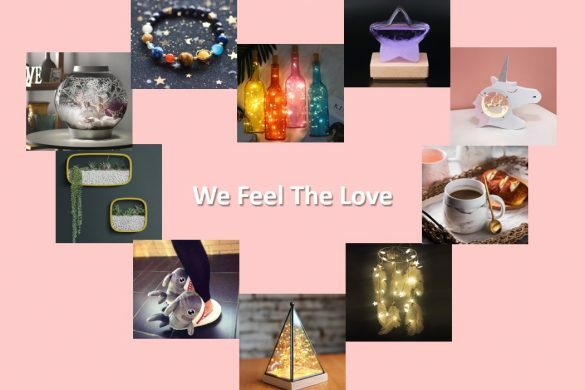 At Apollo Box we’re passionate about fun and unique gifts. 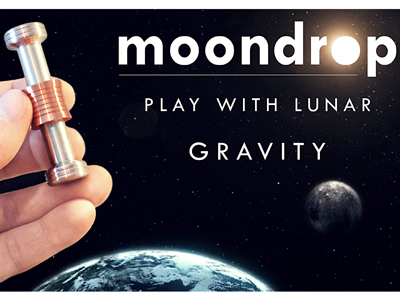 Our innovative AR shopping platform takes shopping to a whole new level of fun. 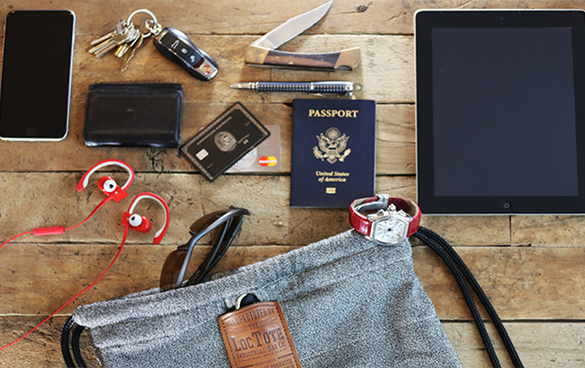 Find cool gadgets and handmade creations to share with your friends. 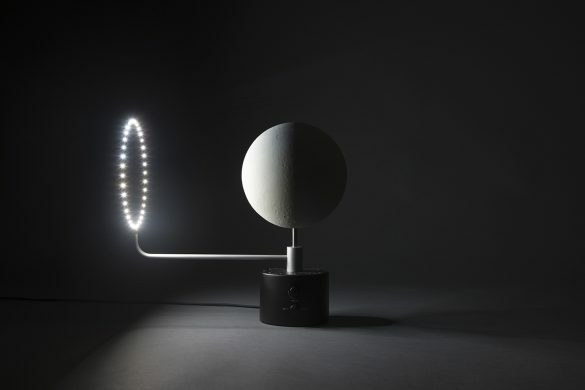 Sign up for our newsletter and stay informed about latest creative products and innovative technology.